water, oil, mud, acid etc. 500000 Meter/Meters per Month Welcome to contact us for more detail information. 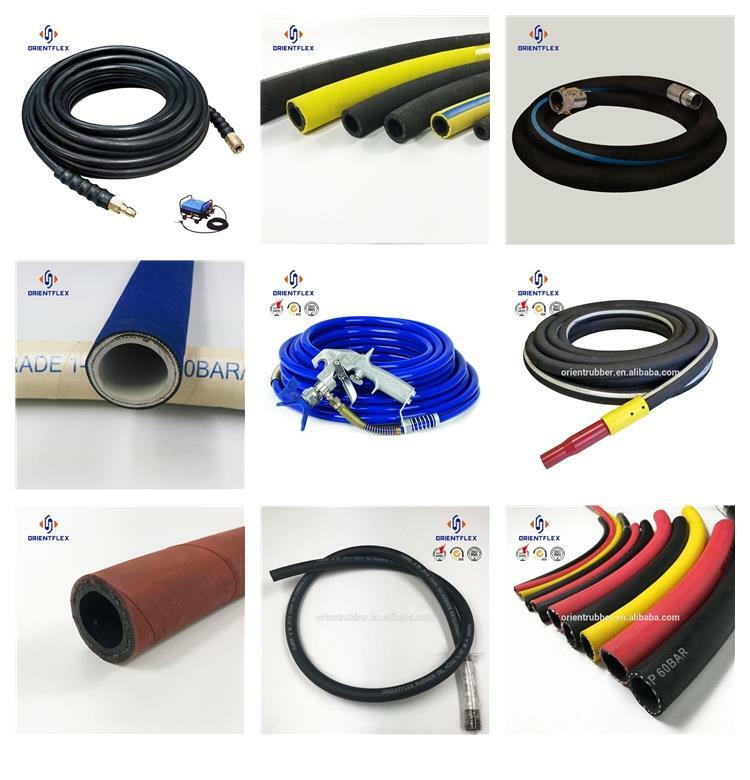 We can produce different color and different size of the rubber hose. 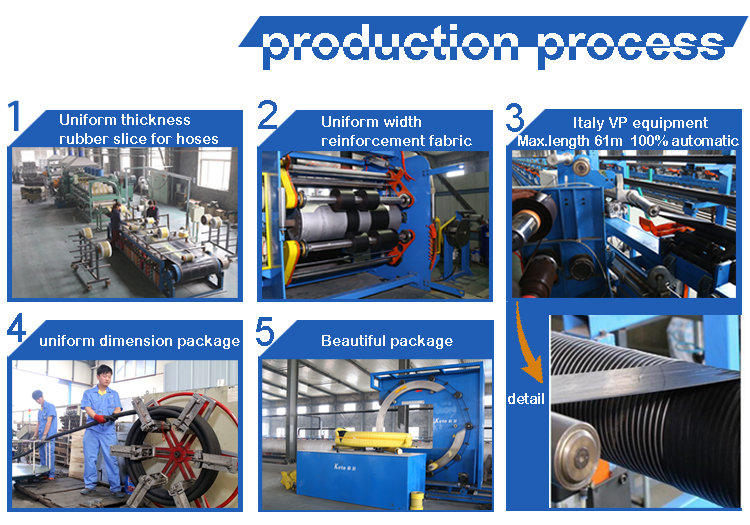 Our factory introduce advanced teconology and equipment to make the best quality water suction and dsicharge hose. 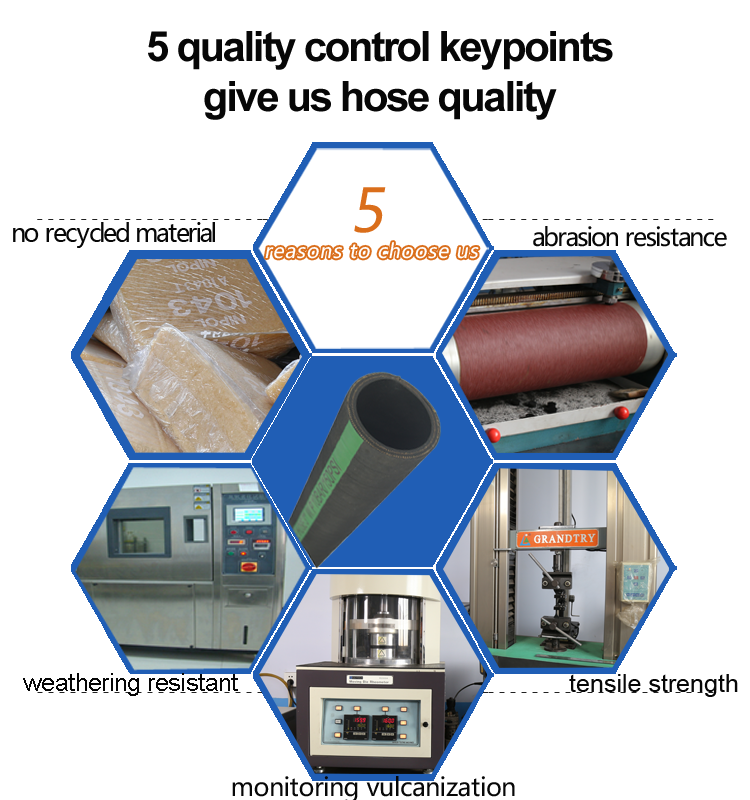 We have much experience of exporting and we produce the best quality rubber waterhose. 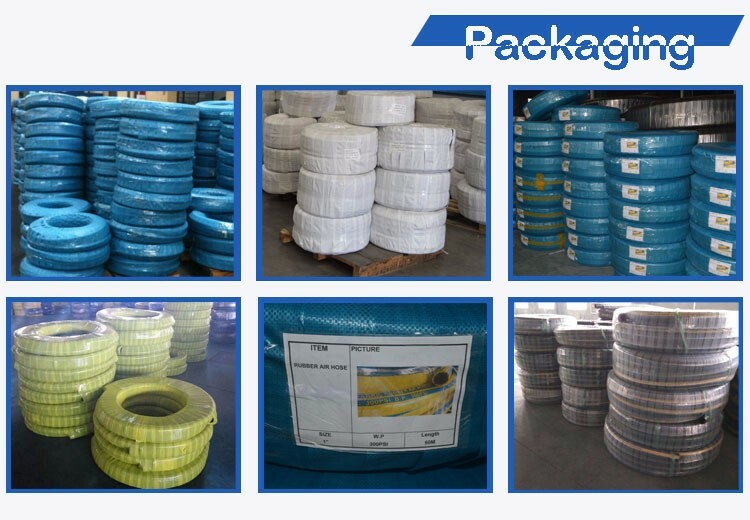 Packing:After finishing the rubber water hose production, we will pack the hose. 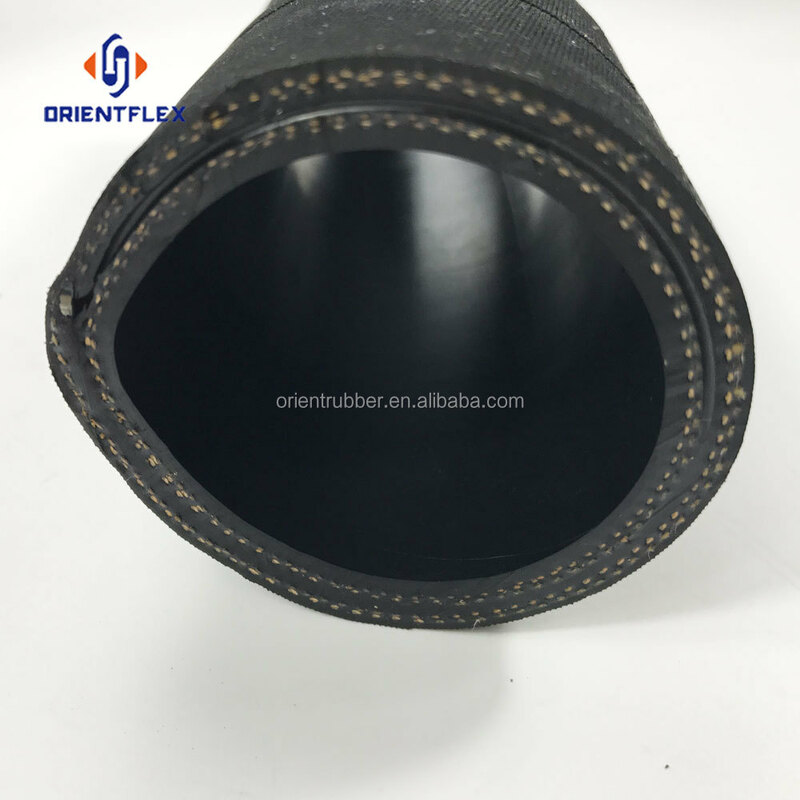 ORIENTFLEX is a professional manufacturer of rubber and plastic hose in Hebei, China. 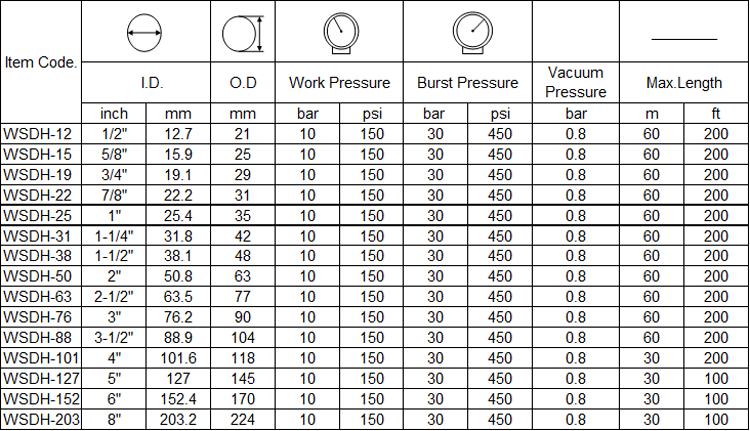 trade, to provide professional services for customer. 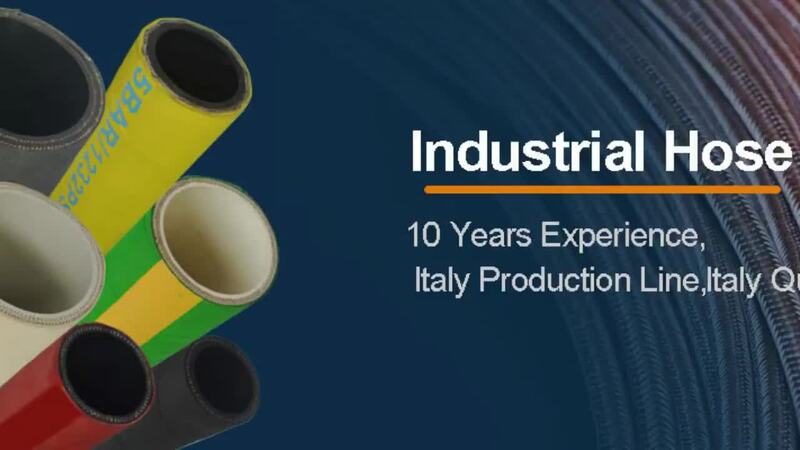 Industrial hose production line from Italy and Maillefer extrusion line from Switzerland. 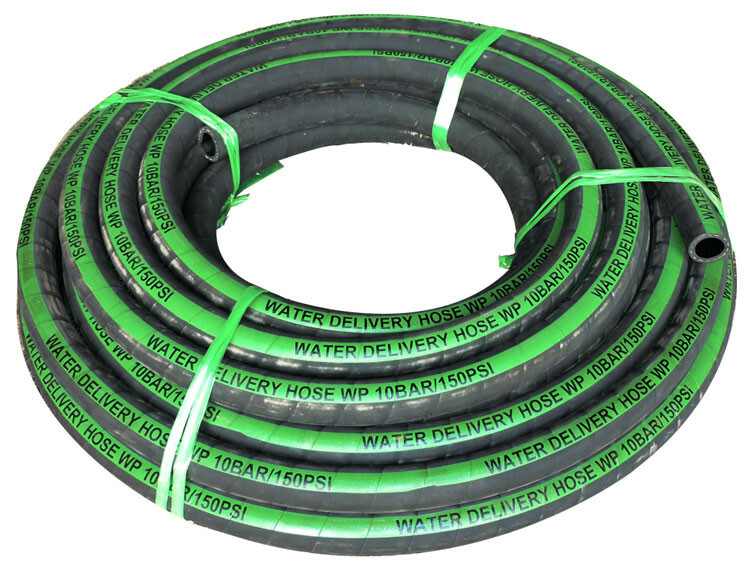 batch raw material.After production,we test each hose to guarantee 100% qualification. 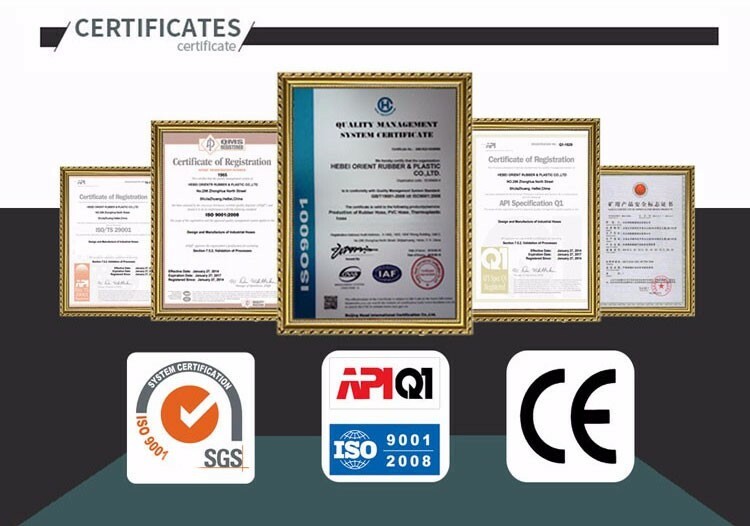 Market &Trade show:Our product has exported to over 30 countries,including the United States, Britain, Brazil, Russia and so on. 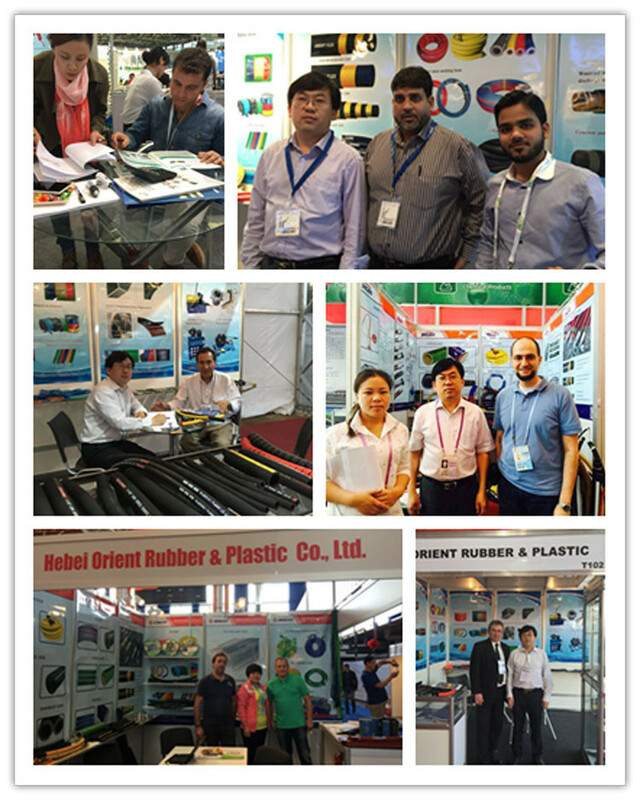 And we participate in overseas exhibitions every year.